Cakes are not just for decoration. Not only should cakes look good but they must be delectable as well. 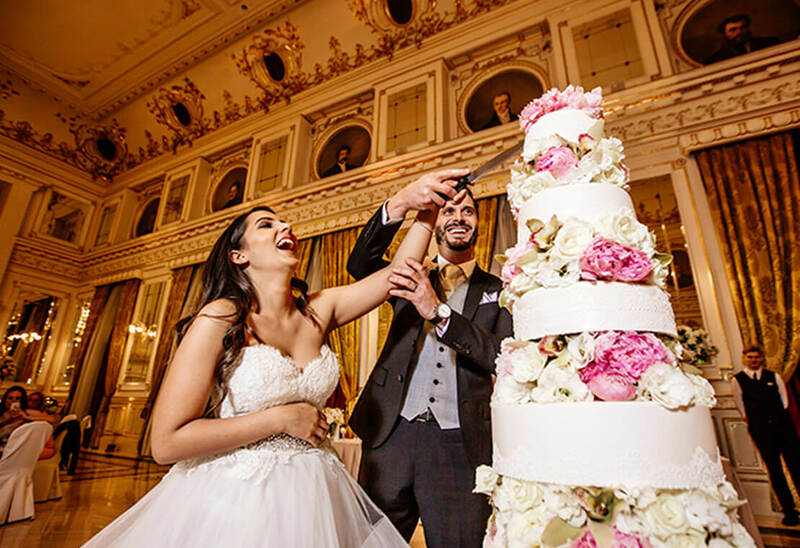 With the Dubai Wedding Team, you can find the right cake for your special day. Our team of consultants can provide you with fresh ideas and options for a suitable cake for this momentous occasion. From flavor to frosting, we can work with you on each detail of your cake until you are satisfied. As with other aspects of planning a wedding, it all comes down to the details. Do you want a simple white cake with no trimmings? Or perhaps you want a chocolate-flavored one with strawberry filling and covered in delicate flowers. If you want a less traditional approach, you can forego getting one large cake for smaller ones. This can double as a wedding souvenir for your guests. The decision is all yours to make. Some couples come to us with set ideas on what they want their cake to look like. No need to worry as we can also help execute your ideas to create the wedding cake of your dreams. Let the Dubai Wedding Team help you with your cake selection. Schedule for a consultation session with one of our wedding planners today. He’s down on one knee! He’s finally proposed! Happiness overtakes you! But the joy of an engagement can, unfortunately, be overshadowed by the daunting task of planning a wedding. The dress, the suit, the flowers, the venue, the photographer, the menu, the guest list, the centerpieces… the list goes on and on…and on! Did you know that the average couple spends 9-15 hours per week on wedding preparations? What about the cake, that sounds simple enough… Actually, its one of the most important jobs that many forget about and end up settling for something last minute. But have no fear, we’ve got your back! Read on to find out 10 useful tips on how to pick the perfect wedding cake for your dream wedding. Wedding cakes are so much more than a white three-tiered cake with a dodgy looking figurine on the top. They can be created so intricately, that they become a work of art. You will be surprised at the various kinds of designs available. If you can imagine it, someones probably made it already! So get researching. Pinterest and other kinds of social media offer some great ideas. Create a mood board to get your creative juices flowing. Have you settled your guest list yet? Try to get a rough estimate of how many people you will be catering for, that will help you determine the quantity of cake you need. Not too good at math? Use a cake calculator to get a basic guide on how much cake you will need to serve all your guests. Once you’ve figured out how much cake you need, you can estimate how much it will set you back. Although it may be tempting, don’t go for the cheapest option. If you do, you might end up with a tasteless, unattractive looking cake that will make you cringe when you see it in your wedding photo album. A gorgeous, tasty perfect wedding cake to be remembered doesn’t have to cost you the world, but you need to plan ahead. Don’t design your cake before you’ve picked your theme. Your cake needs to be a compliment to your chosen wedding theme, not just a random showpiece. Your cake can be made to match your flowers, your dress, your color theme or even your jewelry! Options include classic round tiered cakes, or a modern square design. Some choose not to have a wedding cake structure, but to use cake pieces that are individually decorated or wrapped. A macaroon or cupcake tower is extremely popular right now! Some choose to have a totally unconventional style cake. Many are even choosing to try a savory option instead. Some decide on fresh fruit or flowers for decoration while others use edible sugar designs to cascade down each tier. Your cake can be embellished with jewels, pearls, and lace, all to add to the harmonious theme of your dream wedding! 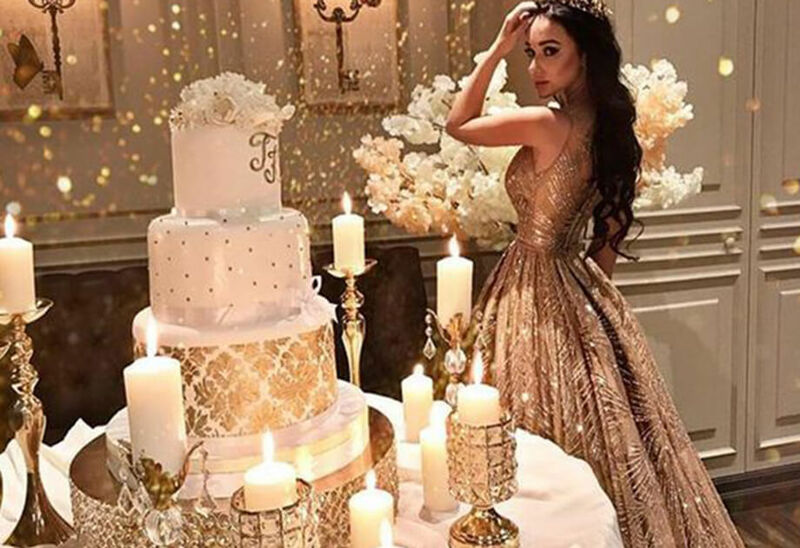 Have you ever been to a wedding with a fabulously extravagant looking cake, you take a bite and the taste is something similar to cardboard? You don’t want the same disappointing experience on your special day. A yummy cake can only be determined if you have a cake tasting session. It’s probably one of the nicest jobs you have to do when preparing for your wedding. Savour every bite! And a wedding cake doesn’t have to be a traditional fruit cake anymore. Sponge, chocolate, red velvet, praline, hazelnut, Belgian chocolate, lemon sorbet, anything you can possibly imagine can be created. A wedding is not just for the bride. Some couples use a “Groom Cake” to integrate the groom’s style into the wedding. Traditionally it is considered a gift from the bride and should be dark chocolate or fruit cake. Others try to incorporate the groom’s style or interests into the main cake structure. Cakes can be created to have one side for the husband and one for the wife. Seriously, google it! You’d be surprised to see the amount of Batman wedding cake designs available! Choose your icing style. Buttercream, fondue or even a naked cake are all delightful options. Don’t forget to take your surroundings into consideration. Is it going to be hot and humid? Or will it be cool, or in an air-conditioned venue? These factors can all affect your icing decision. For example, in a humid climate buttercream icing may melt or become disfigured. Some want the look of a grand, towering cake, but are working on a budget. A good option is using a false structure. It can be made to look so real that you find yourself wanting to take a bite! If you opt for a false structure, you must have cake pieces ready to serve your wedding guests. Planning a wedding requires a measure of leniency when it comes to opinions from your family members and friends. They can come up with really helpful options. But as the saying goes, too many cooks spoil the broth! Keep your decision-making team as small as possible. Then you won’t be overwhelmed with catering for your second cousin’s dislike of chocolate cake or your next door neighbors marzipan allergy! Its simple, you can’t please everyone. As long as you are both content with your choice, that should be enough! It’s your big day after all! Keep the top tier of the wedding cake for your first year anniversary. Plan ahead, depending on the cake you choose, you could keep a section, freeze it and celebrate later. If you choose well, the taste of that perfect wedding cake will bring back only wonderful memories of your day. A wedding cake isn’t just part of the standard menu. It is its own department and requires a lot of forethought and planning. It might all seem a bit overwhelming, but we can do all that worrying for you. Book a wedding cake consultation with us today and throw some of your stress in our direction. We’re happy to help!